Schizophrenia - Can I Get Social Security Disability Benefits? Are you, or someone you love, suffering from schizophrenia? If so, you know that it's a very serious disease that causes hallucinations, paranoia, speech problems, and disorganized thoughts. There are many anti-psychotic drugs that are effective in treating schizophrenia, but they also cause severe side effects. Some patients don't respond well to the medications and continue to experience symptoms. Whether prescription medications are not helping you, or the drugs you take prevent you from being able to work, it's important to know that you may be eligible for Social Security disability benefits. Need to Know if You're Eligible for SSD or SSI Benefits? The Social Security Administration (SSA) uses certain criteria to determine whether someone is 'disabled' mentally or physically. To be considered disabled, your schizophrenia must have lasted, or must be expected to last, for at least 12 months. 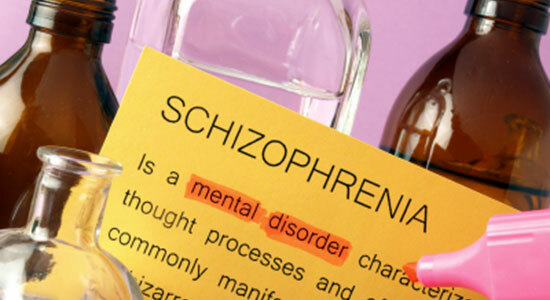 (Typically, patients with schizophrenia take antipsychotic medications for life.) The SSA considers you to be disabled if your medical condition is life-threatening. Also, your schizophrenia must prevent you from working full-time. Because there is no standard test to diagnose schizophrenia, it's critical to be under the care of a psychiatrist. You should see him or her regularly and follow a prescribed treatment plan. Doing so will increase your chances of being approved for SSD or SSI benefits. To qualify for SSD benefits, you must have worked long enough and recently enough to have paid into the Social Security system. If you aren't eligible for SSD benefits, you may qualify for Supplemental Security Income (SSI) benefits. The SSA denies over three-quarters of initial applications, and the claims process is a long and complicated one. Since 1982, we've helped over 75,000 injury victims and people with disabilities get the money they deserve. Our experienced attorneys and legal staff put you first and fight to protect your rights. From gathering medical records and reports to talking with your doctor about your condition and helping you prepare for your hearing, we take care of the hassles and treat you with respect. We win the majority of appeals for our clients, and we're ready to put all our resources to work for you. And remember, there's never a fee unless we get money for you. If you're not approved, or we don't win your appeal, you won't owe us a penny. Is your schizophrenia severe? Are you unresponsive to medications? Do you have multiple serious mental health conditions, and are unable to work? If so, contact our law firm immediately. We can help you apply for SSD or SSI benefits. If your application was denied, we can help you appeal and get the benefits you deserve. Time is critical – you only have 60 days to file an appeal. Get started with a free legal consultation – no strings attached. Call 1-866-943-3427, or fill out the form at the top right. Our phones answer 24/7, so contact us today.